Have you ever taken a look at limestone fountains? They have an elegant beauty to them which remind me of the fountains you see in Europe or on old estates. They are quite special. Here are two landscape fountains I considered for a very large project I was working on that you might consider. They are stunning. These are large garden fountains. They would be appropriate to use in a central, formal pool in a driveway courtyard. They could also be used as a focal point in an open lawn area, or even on a huge patio. 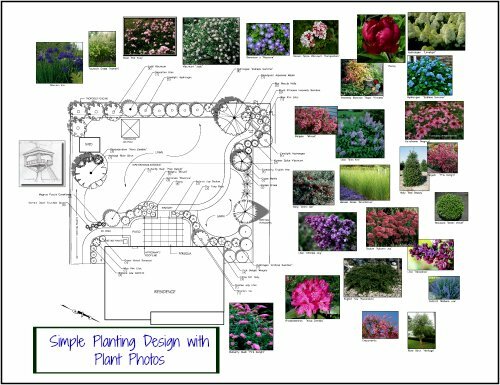 You will have to go through a landscape designer or contractor to purchase as the companies that offer them do not sell retail. 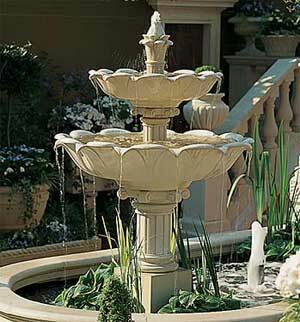 The fountains from both companies below are made from limestone with some additional sand and cement for durability. They do need some care, such as sealants. However, their beauty lies in the traditional simplicity and the loveliness of the limestone material. The name of this fountain is the Double Lotus Fountain. It is 5'6" high. The upper bowl has a diameter of 31 ½ inches, while the lower bowl is 47 ¼ inches wide. The base is 13 13/16 inches. The surface texture resembles portland stone. Depending on what climate you live in, certain maintenance might be advisable. For example, in cold climates, these types of fountains should be drained. 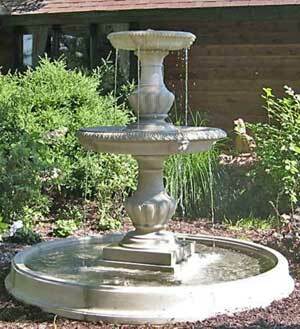 This garden fountain weathers naturally and gracefully over time. is 6' high and the lower bowl is 43" in diameter. The trickling water is lovely and can be adjusted for a softer or heavier flow. There is an optional pineapple bubbler which can be added to the top bowl for even extra water flow. Both of these fountains need something to capture the falling water, and pool surrounds are the most logical choice. They are sold separately.